Atlanta's premier kosher restaurant comes to Ponte Vedra for Shabbat. Join us for Shabbat and enjoy a first class dining experience. 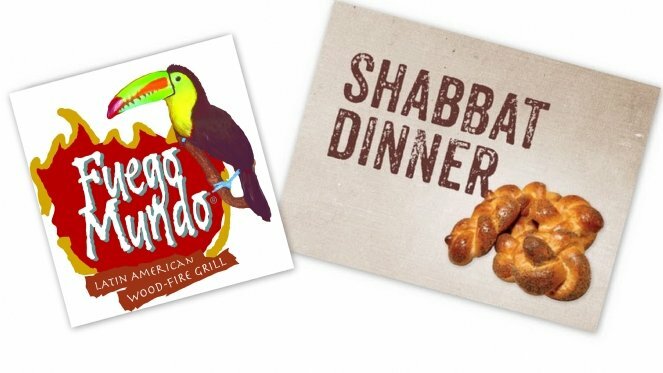 These Fuego Mundo favorites will be part of our Shabbos Menu: Grilled Dark Meat Chicken (pargiot) with chimichurri, Latin Chollent (for Saturday), Spanish Rice, Quinoa Salad, Sweet Plantains, Yucca Breads, Beef Pastelitos (like empanadas). The rest of the Shabbat menu will be cooked by your devoted Chabad at the Beaches volunteers!